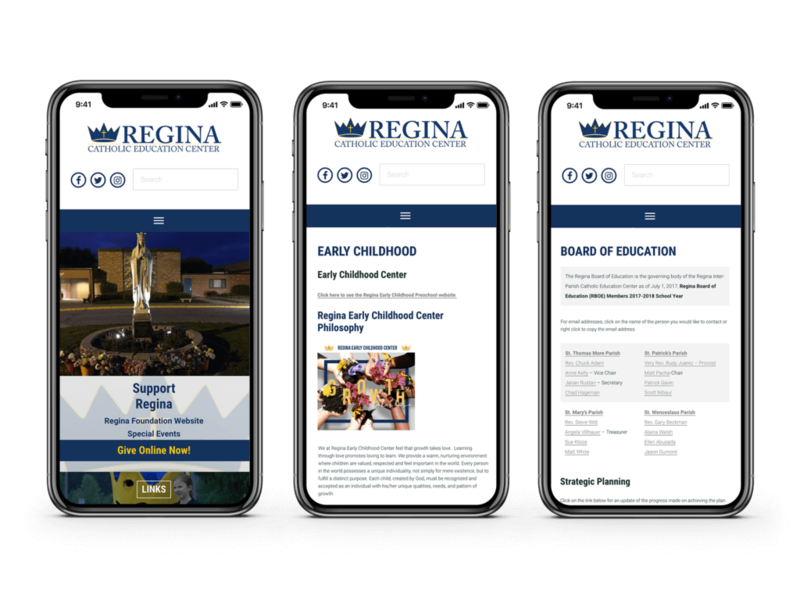 Both the Regina Catholic Education Center and the Regina Foundation needed new websites with improved information architecture, as well as more streamlined e-commerce components. 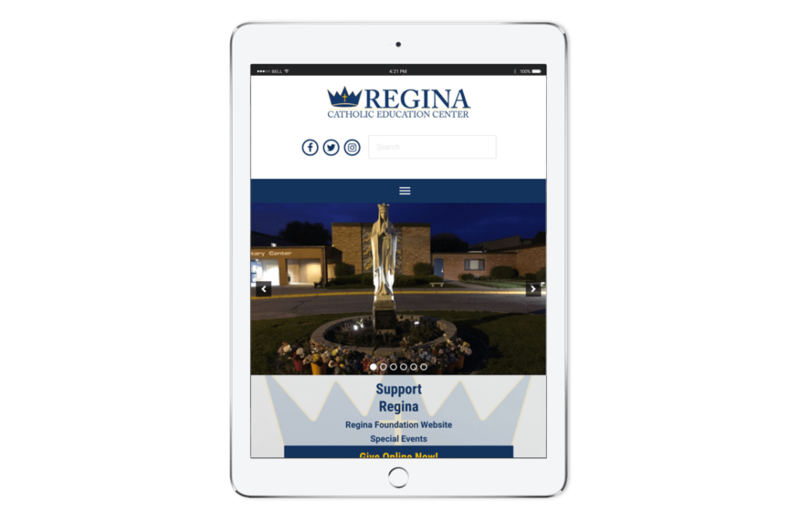 Both sites require multiple forms and payment-processing features in order to process donations, purchases of athletic passes, and orders from the Regina Spirit Store. 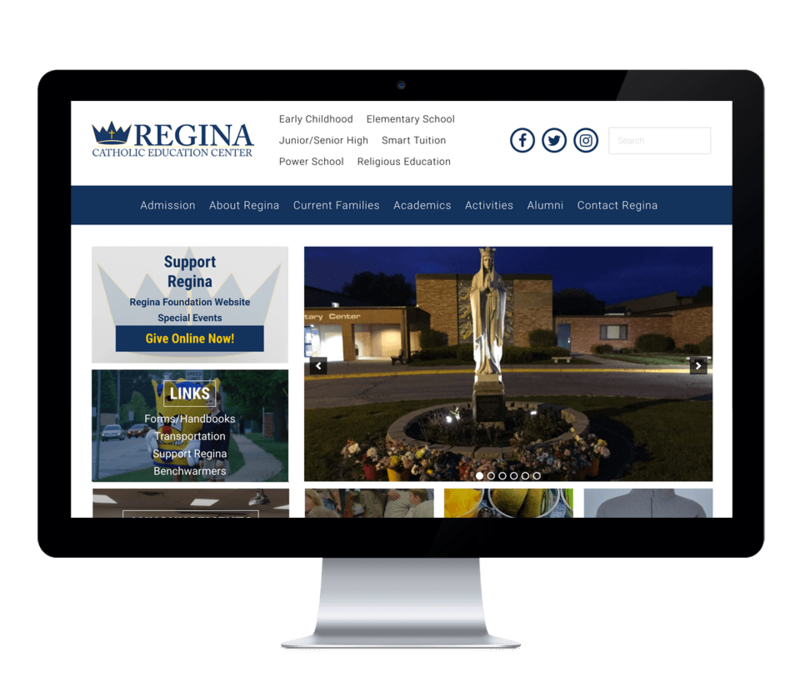 Regina now has websites that are substantially easier to navigate for site visitors, and also are streamlined on the back end. The site administrators now have easier access to content changes, and are able to enjoy the ease of having forms filled out and payments processed online, reducing the amount of time spent shuffling through forms and checks. The look and feel of the site well-represents the high quality and standards that the institution as a whole maintain, and we were thrilled to partner with them to convey their brand on the web.